Just saw this BRILLIANT idea on Pinterest – perfect for anyone with a tiny kitchen. 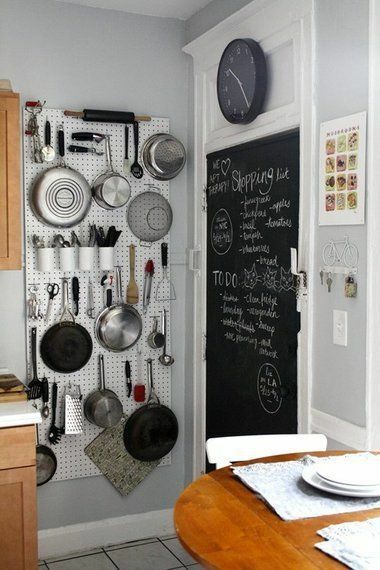 It’s a simple peg board wall to hang all your pots and pans and kitchen utensils. It’s from this post about decor and remodeling ideas for tiny kitchens.